When you live in a small space, every square inch counts, and furniture that can expand and contract on demand makes it a lot easier to fit all the functions you need into your home without feeling overwhelmed with clutter. 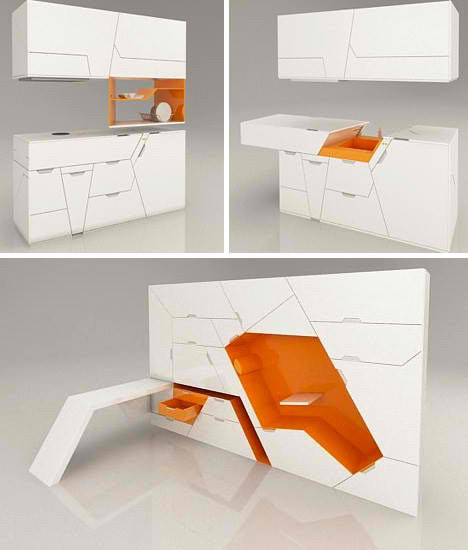 Modular furniture sets and rooms-within-rooms containing fold-out and slide-out components make clever use of the space available, and the ability to hide things away when they’re not in use will please minimalists, too. 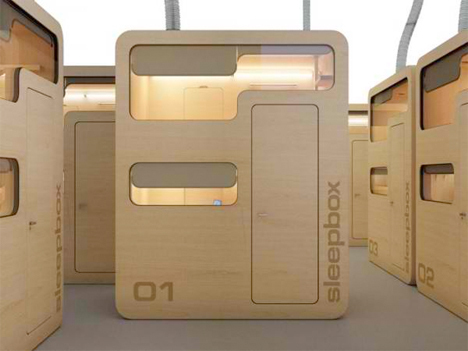 Sleepy travelers can catch a night’s sleep in private surroundings with the Sleepbox, a compact lodging pod meant for public spaces like airports and train stations. For those with layovers or unexpected delays, a room-in-the-box right inside the transit station could definitely be an affordable and convenient option. 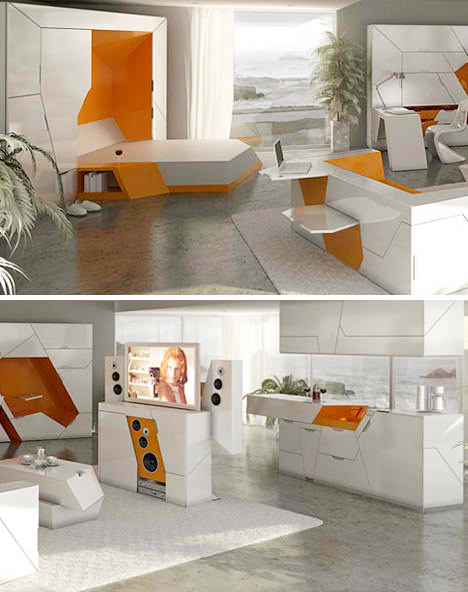 This unusual room-within-a-room is almost as much an art piece as it is a functional living space. Cocoon 1 by Micasa Lab is a plastic pod offering a separated space that provides a sense of privacy and solitude while maintaining a connection to the outside world. 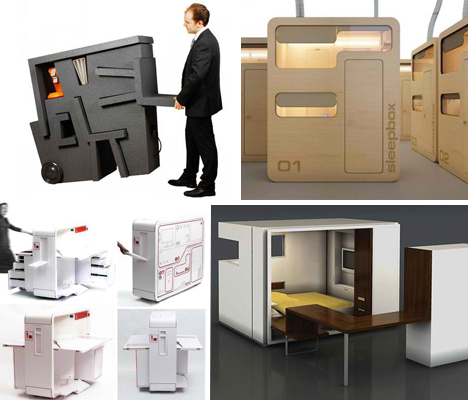 It contains built-in furniture, a kitchen and a power pack that can provide either 40 hours of light, or 20 hours of light plus 30 minutes of cooking. Minimalists, rejoice – options that hide virtually everything from view when not in use are not only becoming easier to procure, they’re more stylish than ever, too. 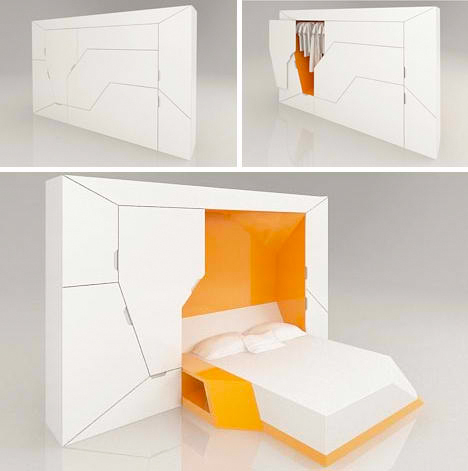 The Boxetti Collection by Rolands Landsbergs is a series of fold-out, slide-out living spaces contained within simple white modules. 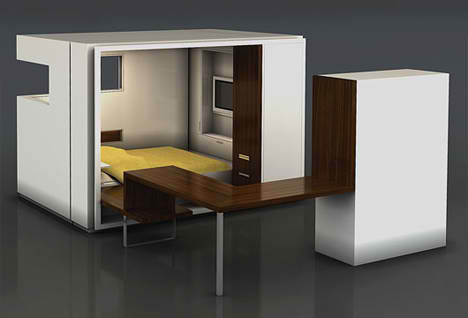 It includes a bedroom box, a living room box, an office and a kitchen. 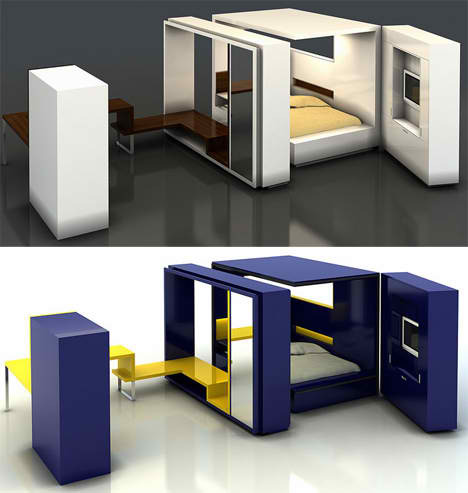 For those in temporary living spaces, or who just don’t care about personalizing their homes, all-in-one box systems like the Room by ODA offer a modular dwelling system that collapses and expands. 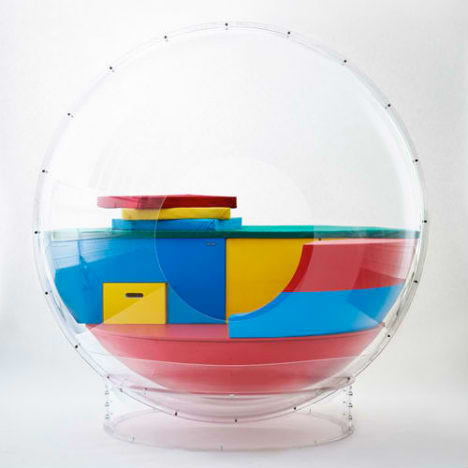 It comes with three elements – the pod, a media station and a satellite. Colors and materials can be customized.